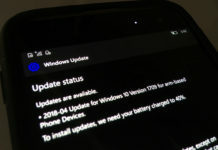 Windows 10 Mobile Build 10586.312 videos have been leaked online. Two new videos have been published by WindowsMania forum users on YouTube. It is worth mentioning that few hours ago tons of screenshots of mobile build 10586.312 had been also leaked and it didn’t reveal any major new features. Now, Windows 10 Mobile Build 10586.312 videos surfaced online. Both of the videos showed the mobile build 10586.312 running on a Lumia 920. According to the leaker there is a major notification center bug and there are no improvements in boot time of the phone with mobile build 10586.312. Keeping in mind that there is a major notification bug as claimed by the leaked. 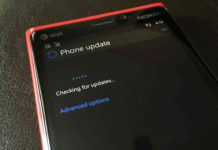 It seems that Microsoft could delay the release of the new mobile build. However, lets hope for the best.